As we stand on the brink of war(s) and a gutted healthcare system, it’s clear who’s to blame for all of this: celebrities. Well, really just Donald Trump. But the C-lister rallied nearly 63 million Americans who were either taken with his nationalist policies or his gold-plated residence, and now here we are, watching as the president picks fights with world leaders and awards shows. But if celebrities got us into this mess, then clearly the onus is on them to get us out of it. Enter the Committee to Investigate Russia (or CIR), founded by writer-director Rob Reiner. His organization aims flush out the truth about Russia’s “aggressive effort to subvert the American democratic process,” which we’ve recently learned might include Facebook advertising. The site is full of useful information like a “key players” section, which lists the “Trump team” and “Trump associates,” among others, as well as regular updates on the latest purported attempts by the Kremlin to undermine our government. 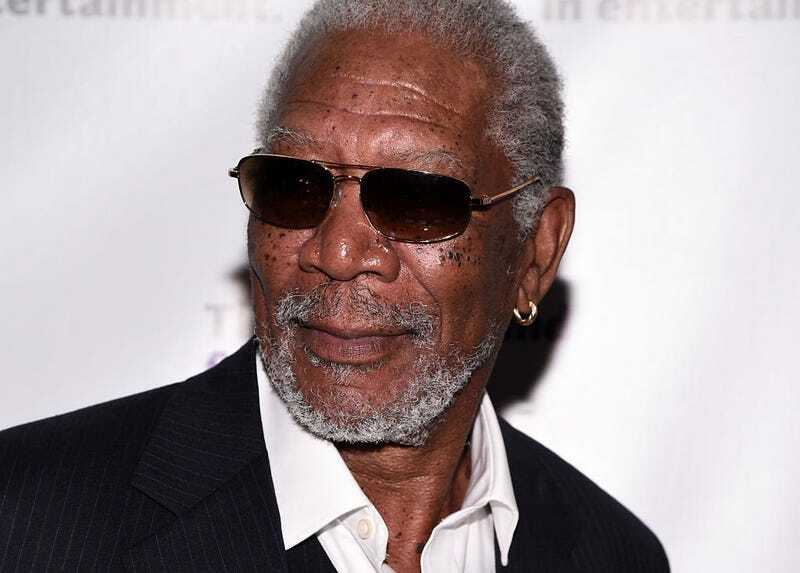 The Committee to Investigate Russia’s most powerful weapon, though, is the voice of God—er, Morgan Freeman. The actor lent his distinguished, dulcet tones to a CIR video that sums up Russian cyberattacks in a most dramatic fashion. Theatrical flair aside, the “war” that’s referred to is obviously a figurative one—after all, a cyberattack isn’t executed with knives (we don’t think). Officially, Russia seems to be waving off any concerns, with Putin’s press secretary Dmitry Peskov telling the BBC his government isn’t taking the clip seriously, and that the accusations therein are “groundless and of an exclusively emotional character.” Basically, those sensitive Hollywood types are reacting the only way they know how. But Russia’s state-run media won’t stand for these slights, i.e., investigation into the extent of the country’s meddling. According to the BBC, St. Petersburg’s Channel 5 denounced Freeman as an “American propaganda loudspeaker,” claiming that his “Russophobic cliches,” have cost him “millions of Russian fans in a moment,” though they might be overstating how deep the impact really is. The TV Centre was far more succinct, calling the video Freeman’s “worst role.” But Rossiya 24 went all out, empaneling a group of psychiatrists who attempted to weigh in on Freeman’s mental state. They said the actor’s contribution to CIR stemmed from “a Messianic complex” after playing God and the president of the United States. They also cited “drug abuse,” because why not. Rossiya 24's weatherman Vadim Zavodchenkov also attributed Freeman’s leeriness to “overwork and marijuana use,” presumably because he can’t imagine someone wanting to talk about wormholes so much without taking a bong rip first. The Russian printed press wasn’t nearly as disparaging, with the tabloid Moskovsky Komsomolets preferring to pick up the Russophobic angle with a story titled “Morgan Freeman’s Fear And Loathing.” But just to make sure Trump catches wind of the display of outrage, the hashtag “StopMorganLie” has been created as well.